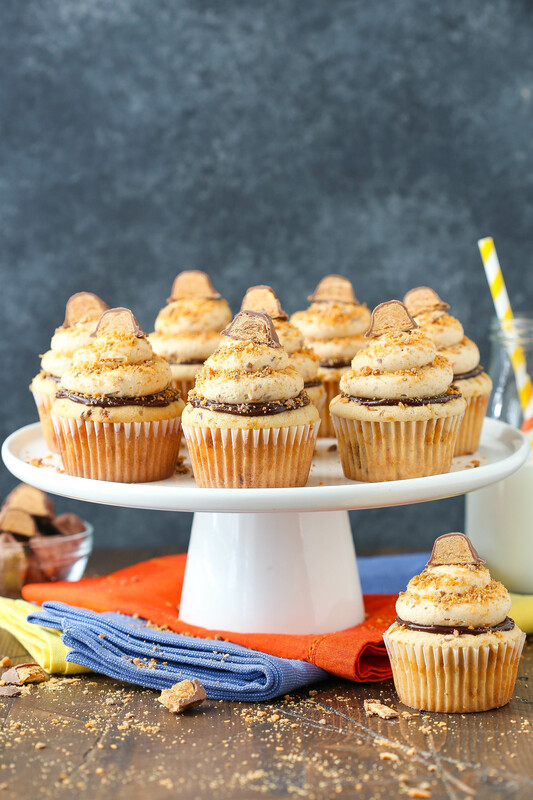 These Butterfinger Cupcakes are made with peanut butter cupcakes, chocolate ganache and peanut butter frosting full of crushed Butterfingers! 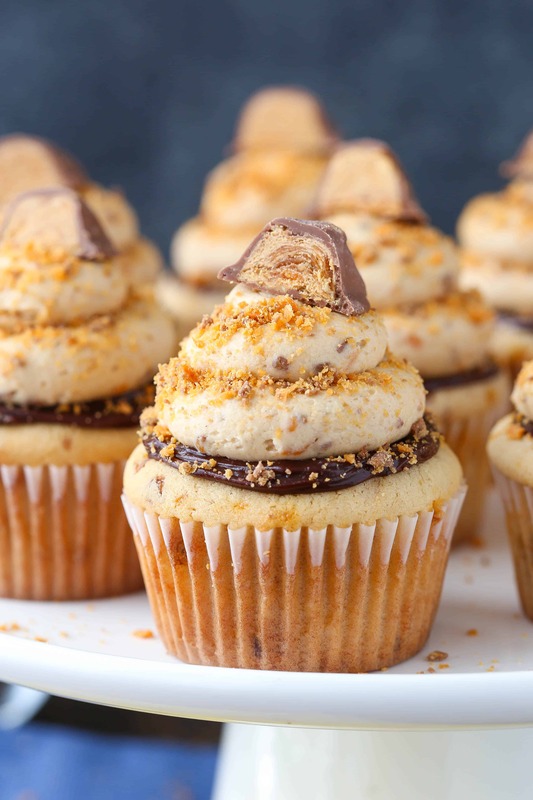 They are a Butterfinger lover’s dream! Can you guys believe tomorrow is Thanksgiving! We are officially in the BEST time of year! And even better – I don’t have to be the one in the kitchen all day. 🙂 We will be visiting with my parents and even though I’ll be helping, the full responsibility won’t be mine. I’ll likely be in charge of the sweet potatoes, since they are my favorite part of thanksgiving. I know – you’d think it’d be the dessert. But I’m spoiled and eat dessert all day every day, so it’s sweet potatoes slathered with marshmallows that make me love Thanksgiving the most. 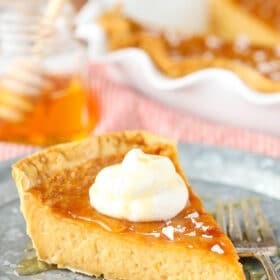 That and pumpkin pie with LOTS of whipped cream. 🙂 My dad and I devour some pumpkin pie and whipped cream. Speaking of a pick-me-up, these cupcakes would also do the trick! 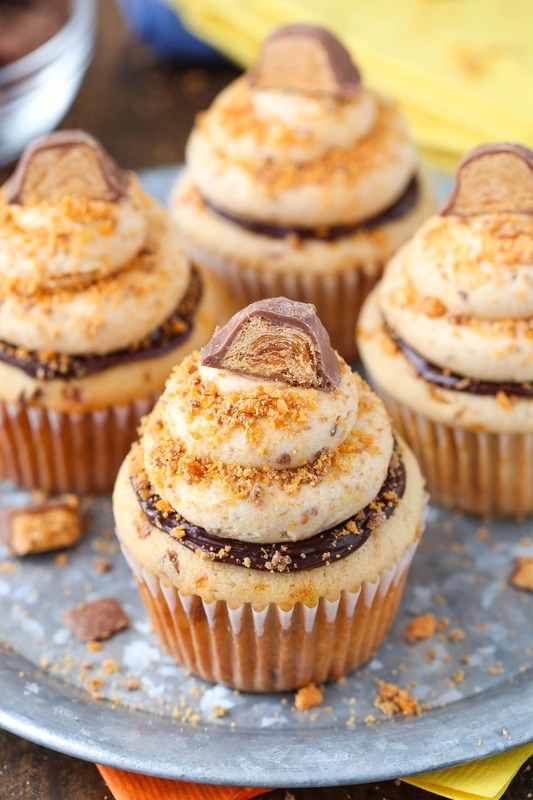 A moist and fluffy peanut butter cupcake is the start to Butterfinger heaven. The cupcakes even have some crushed up Butterfingers in them. So good! 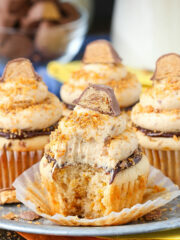 On top of the cupcake is a bit of chocolate ganache because we all know that peanut butter’s best friend is chocolate. 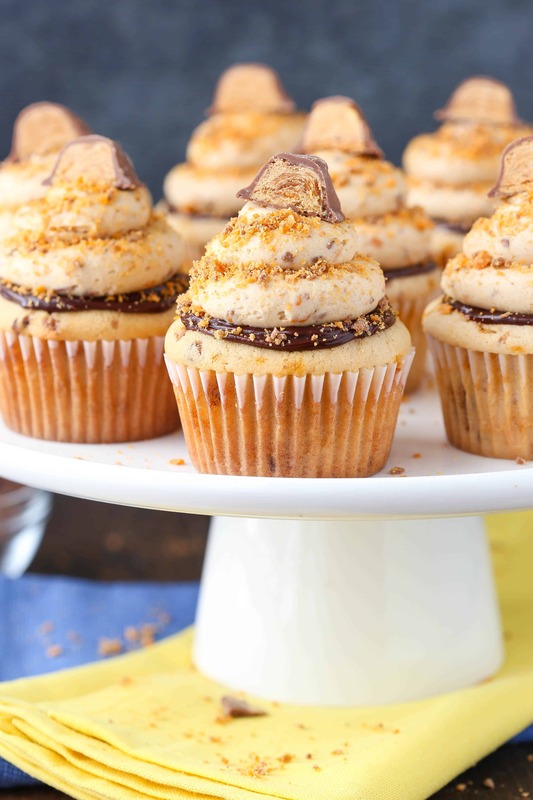 To top them off, they’ve got a peanut butter frosting that is FULL of crushed Butterfingers! To die for! To make them pretty, I sprinkled them with some additional crushed Butterfingers (is it even possible to get enough?) and a Butterfinger half. They are super cute and make a super fun cupcake! Head over to The Cake Blog to get the full recipe! Find the full recipe and instructions on The Cake Blog. This post is sponsored – in part – by Walkers Shortbread, but all opinions are my own. These look AMAZING!!!!!!!! 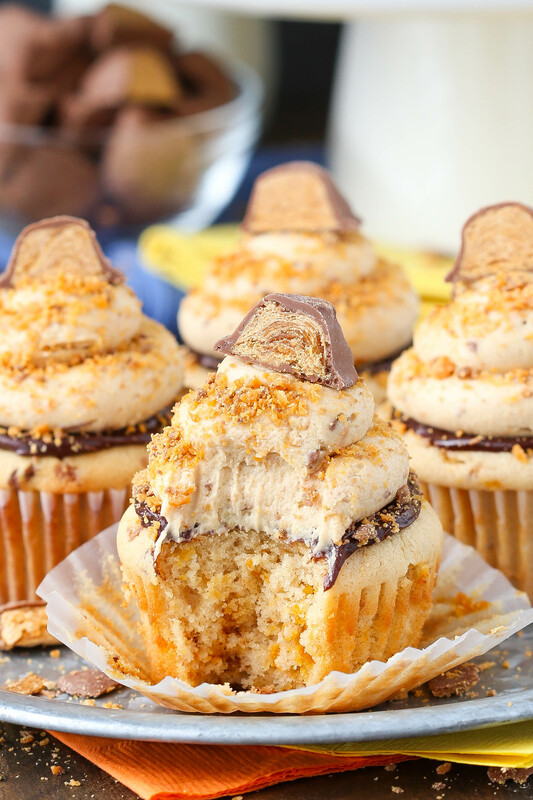 The butterfingers, the frosting, the everything. Love it! Oh My Gosh! These look delicious. I can not wait to try them!! YUM! THESE ARE THE BEST THINGS IN THE ENTIRE WORLD! I made these tonight to bring to work for colleagues and made some for my students. Everyone freaked out. 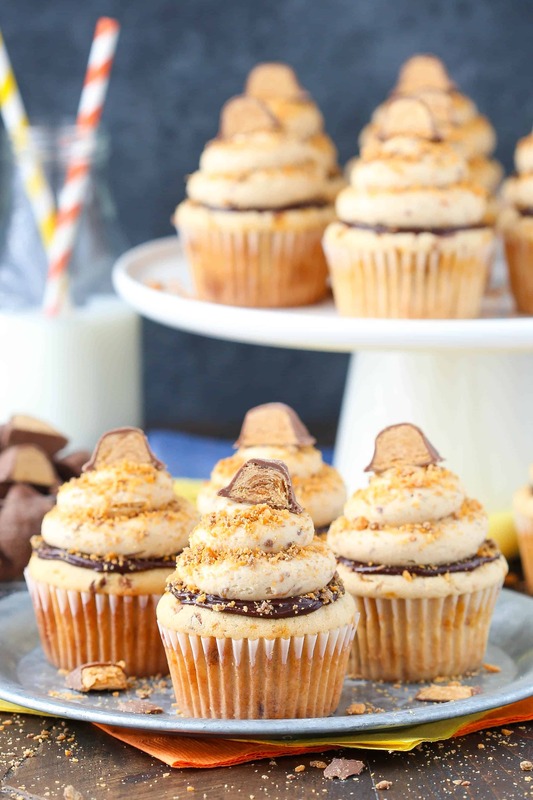 The cupcakes are so fluffy and amazing texture — which is hard to accomplish with peanut butter! SO AMAZING! Wonderful! Thanks so much for the feedback! So glad you enjoyed them! 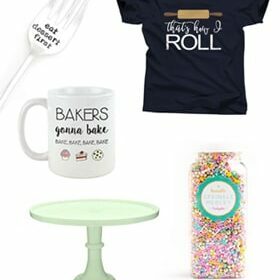 2016 Holiday Gift Guide for Bakers!